My preseason prediction was the Lakers win 45-46 games and just miss the playoffs. I'm sticking to that. Also, the Kings will finish below .500 and never sniff the playoffs, I'm very confident of that. I’ll give it 2 more weeks before LeBron ships out half the team for veteran star players. Yes but something drastic will happen anytime LeBron is involved. Coaching change, trade, etc. I didn't think they would when he signed and I don't think they will now. I think Luke Walton lasts the first 20-25 games and then James gets him fired. 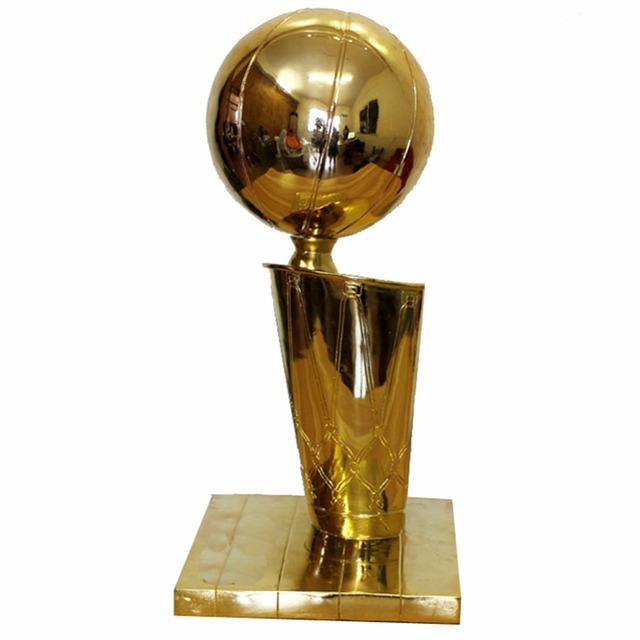 What lebron wants Lebron gets. How hilarious would it be if Tyron Lue is coaching the Lakers by the All star break. So, yeah, I don't see the Lakers making the playoffs unless LA trades for Jimmy Butler very soon. Except plenty of young players developed next to him. They just happen to be late 1st and 2nd round picks because his teams are so good. Name them, let's hear them. I hope they upset HOU and GSW - if not THIS year then NEXT. I hope they make it to the Finals - either THIS year or NEXT. I hope BOS makes it to the Finals, as well. 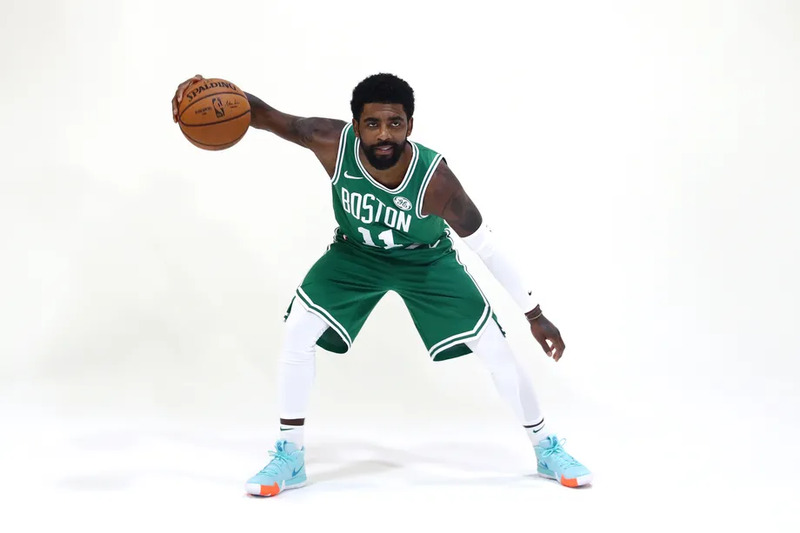 I hope Kyrie is allowed the opportunity to stick a fork in LeBron - in GREEN - in JUNE. 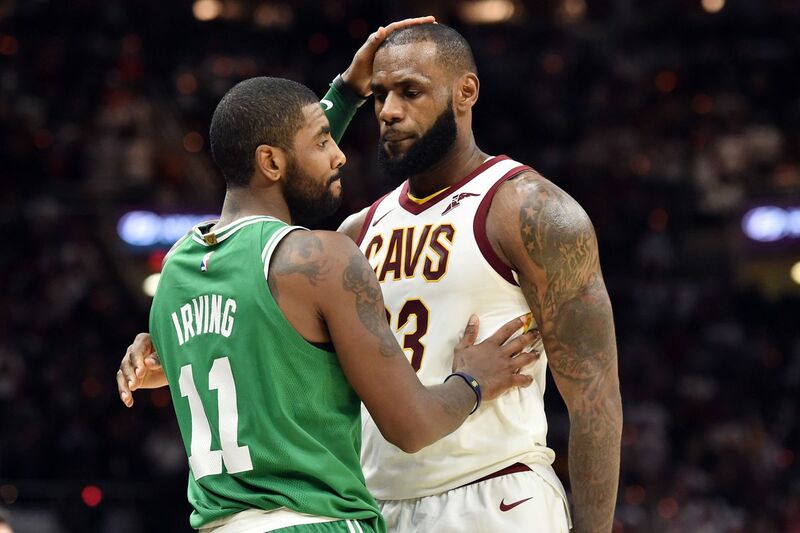 I want Kyrie Irving to pat LeBron James on the head - once again - but this time tell him "Sorry LeBron but BOS is winning Banner 18, now." I want Gordon Hayward to complete his "Unfinished Business" by regaining his form AND playing a key part in beating LeBron James and the Lakers - in June. I want Kyrie Irving to put an END to "Playoff Rondo." So YES - I "WANT" The Lakers to make the playoffs and go down in a GLORIOUS Purple and Gold flaming ship and SINK - torpedoed by their hated rivals The Boston Celtics. I just went through this in one of the Lebron threads, but Chalmers turned into a 10 year player by being blessed to have been on the court with James. Similarly Boobie Gibson made a career for himself just by being on the Cavs. 2nd round pick Varejao did quite well for himself playing with James (though he was actually older than James when he joined James' Cavs). JJ Hickson did just fine developing next to Lebron for 2 seasons. Osman sure wasn't hurt playing with James last year either. Again, because James is so good, his teams often trade their 1st round picks and even if they don't they are late 1st round picks. The fact that so many of those players ended up getting 2nd contracts in the league is an achievement. The simple reality is that Thompson and Irving were the only 2 very high picks that James has ever really played with while still on their rookie contracts, and both of them got significantly better playing with James. Ingram and Ball now join the Irving and Thompson list, and I'm sure they will develop just fine as well. Said that they'd miss it during the offseason and I still stand by my statement. Mario Chalmers was a starter in his rookie year, and didn’t improve at all alongside LeBron. Gibson practically didn’t improve at all in terms of his production per minute throughout his whole career. Hardly a case for any development alongnside James. Varejao is a similar story to Gibson, except he was a better player. 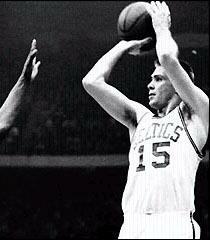 I guess he developed a better FT touch along the years, but even you can’t attribute that to LeBron. looks like they are wrapping up winning their 4th of 6, he'll get them there, the only question is whether they make it past rnd 1.
people fall for it every year,lbj WANTS that controversy, he wants people against his teams, he uses it as "us against everyone else." his teams have played their best when all the talking heads say they are done, it's like a movie on a loop. he's good at playing into it because he knows it works. Ingram and Ball now join the Irving and Thompson list, and I'm sure they will develop just fine as well. I take that bet. LeBron has always wanted to win now and he will make sure, because it is what he does that by demanding they trade young talent for vets. Teams he has been on are usually good because of his talent but they are utter train wrecks after he leaves. I am sorry but that is not leadership. I know your a great fan of his, I am not saying he is a great player. But face it, Lebron is all about LeBron. but those are the young players he has played with and they all got better playing with him. There is no evidence to support the other side of that argument i.e. you can't name a young player that didn't develop next to Lebron. They just don't exist because the simple reality it Lebron rarely played with young players other than late 1st and 2nd round picks. Now if you want to claim that the Lakers will trade away their young players for established stars, that is certainly reasonable and frankly is at least probable if not likely that it happens, but that is not the same thing. Trading them is not the same thing that is being argued though. I agree there is a very good chance they trade some of the young guys. Heck, I think they should have acquired Leonard this summer and they should have been willing to trade all of them to make that happen if that is what it took (I think it would have just been Ingram and one of Ball/Kuzma, but they should have done that). The Lakers are already wasting James' best remaining season by putting a non-contending roster on the floor. I can't see them doing that again, so even if they don't do much this season, I would expect they would next summer. When you have someone as good James, you have to go all in around him.